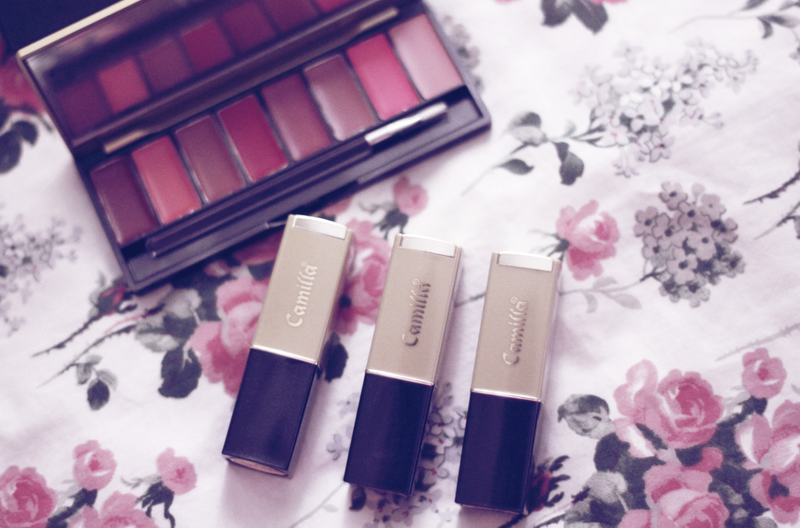 Its been so long since I last blogged about anything related to beauty so here goes! 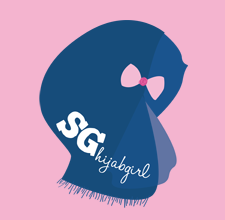 Ok I admit, I'm a girly girly girl so its just natural that I tend to gravitate towards beauty products, cosmetics and whatnots especially when I'm wandering alone in town. My thoughts usually go like this. "Heyyyy, MAC counter. Hmmmmm, one more lipstick won't hurt right?" "Maybe I should get one more mascara. But you don't even put on mascara. Oh well, for special occasions? 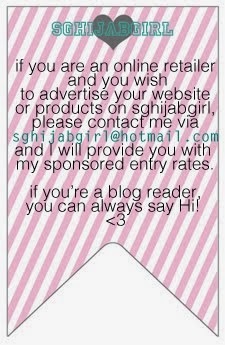 Ok just buy!" "I've been hearing a lot about this tinted moisturizer! Youtube beauty gurus are raving about it! Wooooo, that looks nice." Suddenly, I find myself at the cashier paying for items I don't really need. I've banned myself from sephora and ck tang for a few months now and so far it really works! I haven't bought a single lipstick since the time I went crazy at changi airport's duty free! So, imagine how super excited I was when the owner of Dolcehearts, a supplier of these Camilla products approached me to try out some of their products! Hehe. 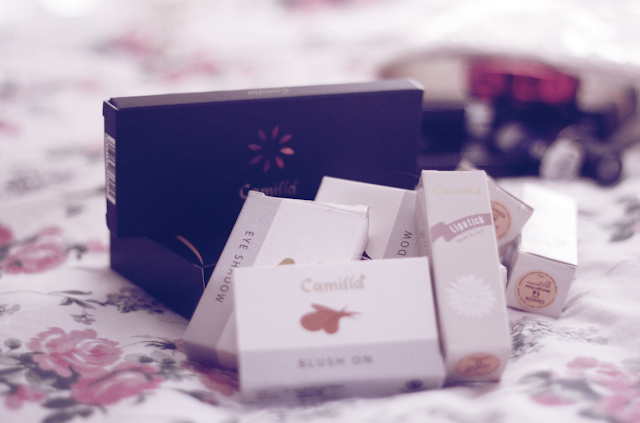 The most interesting thing about Camilla's range of cosmetics is that according to their slogan, it is enriched with honey and perfectly halal. Yup, they're actually halal-certified and all their products are honey based. 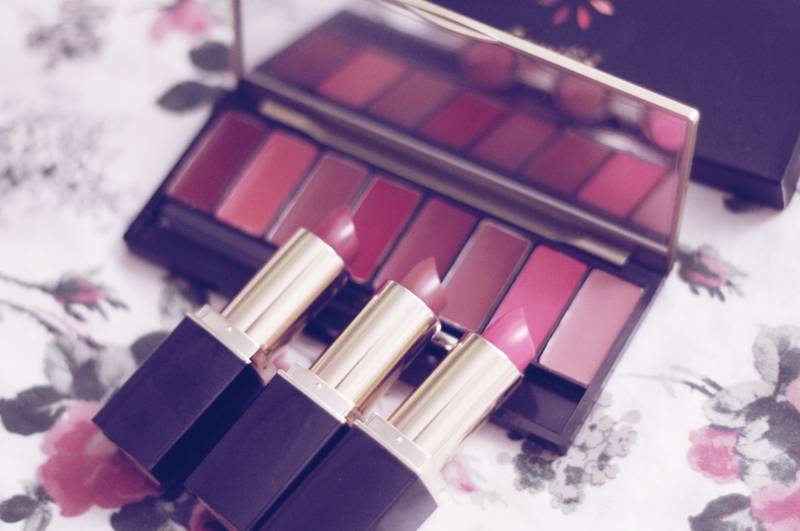 They have a range of products from lipsticks, foundation powder, eye shadows to blushers. 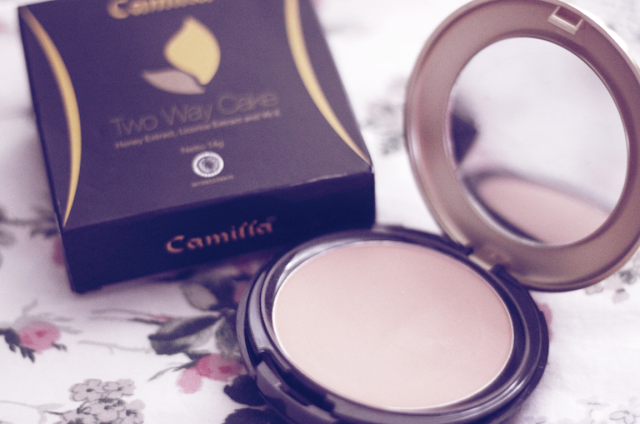 The Camilla Two Way Cake foundation is a perfect blend of foundation and powder which is easy to apply and long lasting. Contains microcoated particle and oil control formula. With licorice extract and UV protection. It comes in two shades and so far, I like the coverage. It isn't too cakey or too sheer. 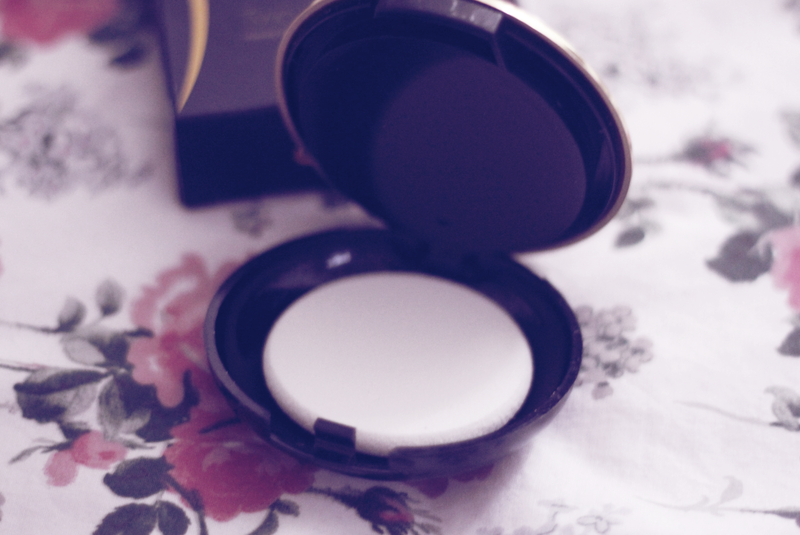 I also like that it comes with a mirror and a special compartment for the powder puff! However, if you need more coverage in terms of covering acne scars etc, you might need to put on liquid foundation first and use this as a setting powder. 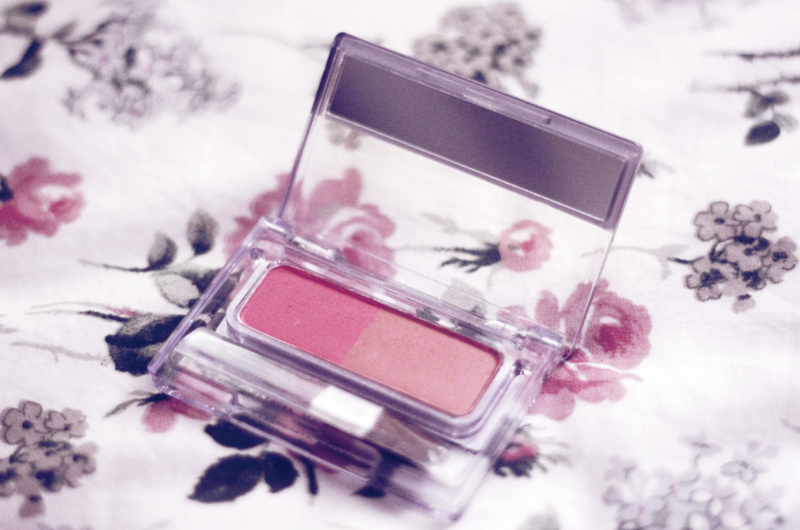 I like the size of the blusher, I think its perfect to carry it in my make-up bag for touch-ups. The color payoff is pretty great, I would definitely say this is more matte than shimmery. The only thing is the brush is so tiny! Haha! 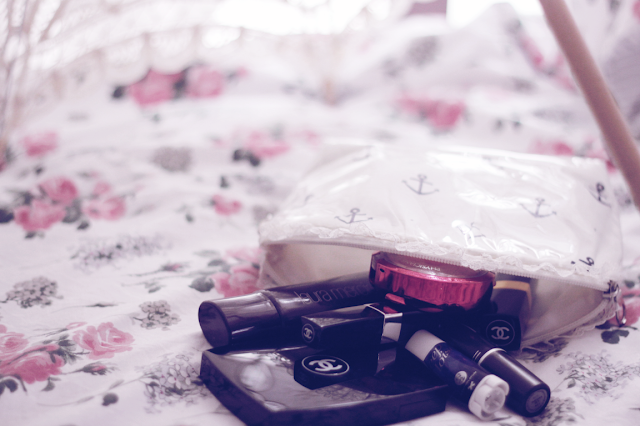 and for me to use my blusher brush, its too big to pick up the product. I end up using my fingers and dabbing it on my cheeks. 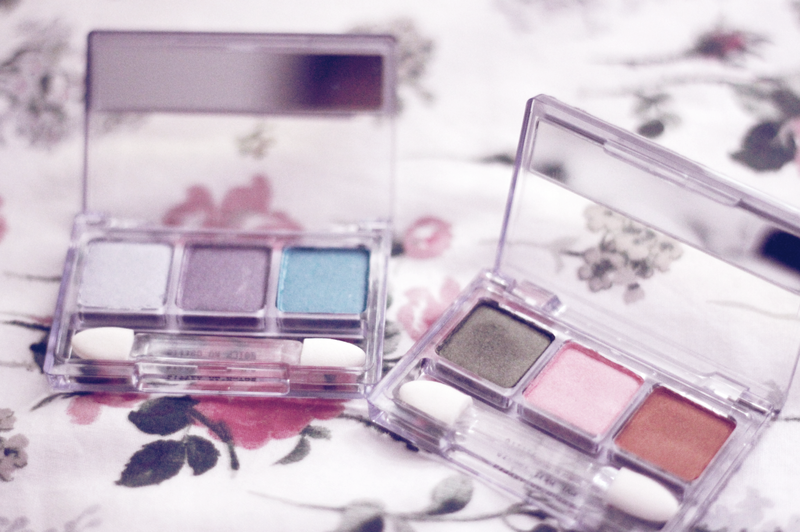 Ah eyeshadows! It comes in three color sets! 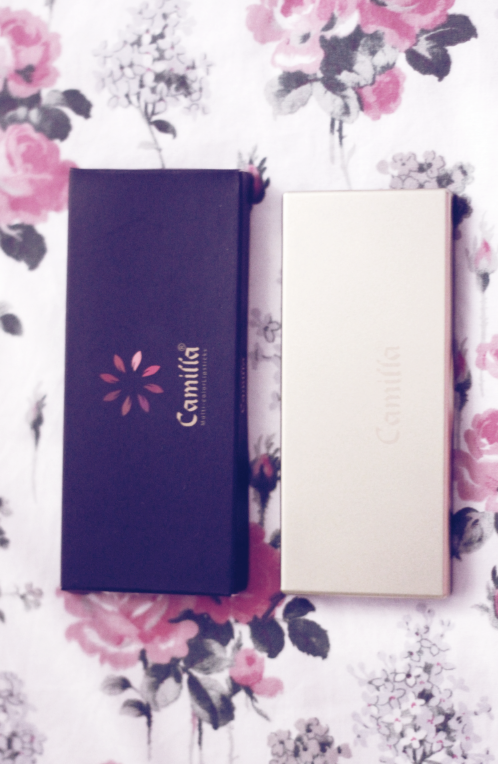 Have I told you that I love the packaging? Looks so...minimalistic. 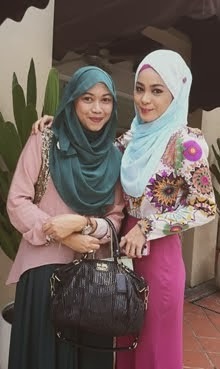 I should be honest and tell you that I'm not an eye make up person so you will rarely see me with eye make up. The eye area is very very very delicate so except for special events when I need to look a bit nice, I usually don't do anything to my eye. Not even eyeliner hehe. But I have the very popular and always raved about Urban Decay Naked Eye Palette (please don't ask why I bought it hahahaahaa clearly one of my impulse purchases) and I would say that this is comparable! I wouldn't say that its exactly the same but I've tried eyeshadows that are just, urgh, so chalk-ish powdery. 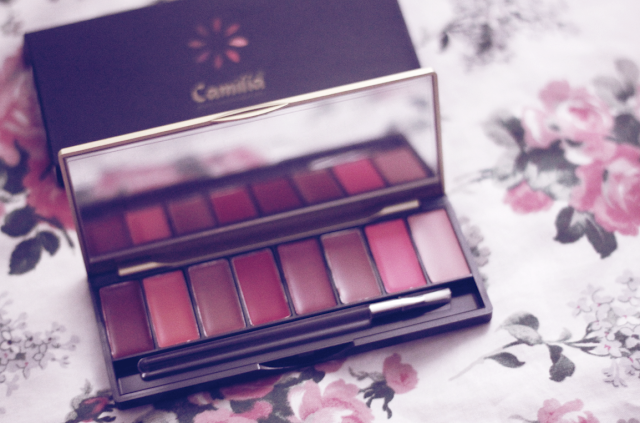 The Camilla eyeshadows aren't chalky at all. They're not as good as UD's but for $15 they're actually pretty good!! Finally, the number one bestseller according to the owner of Dolcehearts! Fabulous colors giving you the matte-glossy look. With its content of sheer butter, jojoba and olive oil plus honey extract, express yourself in different colors. If you don't like lip colors in a palette form, you can always opt for the lipsticks! head on to Dolcehearts' Facebook Page by clicking here!